Standing in Sundari Chok at Patan Darbar Square is an experience fit for a king. The ornate and richly iconographic Tusha Hiti step-well, the large stone slab that once served as King Siddhinarasimha Malla’s outdoor bed, the intimate proportions of the space, all transport visitors to another time and place. 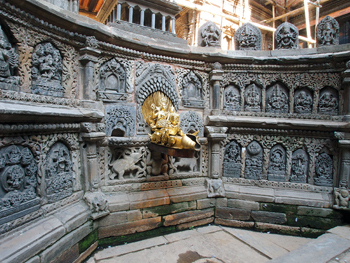 Built in 1627 by King Siddhinarasimha, Sundari Chok is Patan Darbar’s earliest surviving courtyard and the most finely preserved instance of Malla architecture in the Valley. The medieval quadrangle is also noted for its intimate scale: few places (or palaces) around the world are so evocative of ceremony and gravitas. 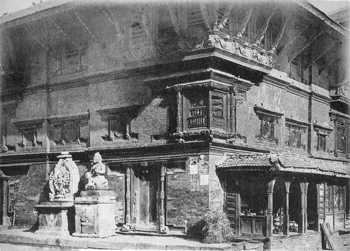 For its unique atmosphere and its intricate, largely intact relics, Sundari Chok is one of the most important historic sites in the Kathmandu Valley. Ten years ago, there was no evidence of such reverence. Many examples of the rich iconographic program, largely carved in stone on the lower level of the courtyard, had been looted. Hasty construction during a material scarcity after the 1934 earthquake left many of the palace walls mired in damp and rot. An entire façade built after the earthquake in no way resembled its adjoining walls. The once sacred courtyard, until 1993, had been set up to house a temporary jail. 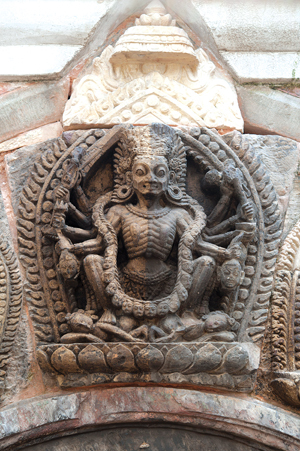 With support from the German government, the US Ambassadors Fund, The Prince’s Charities, Ludwig Kuttner, Beatrix Ost, Prithivi B Pande, and Pratima Pande, the Kathmandu Valley Preservation Trust (KVPT) set in motion a restoration project that would soon return Sundari Chok to its former glory. 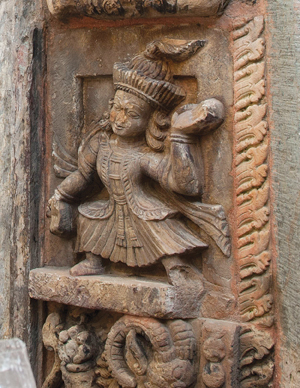 Founded in 1991, KVPT has been restoring historic sites in Kathmandu for over two decades. 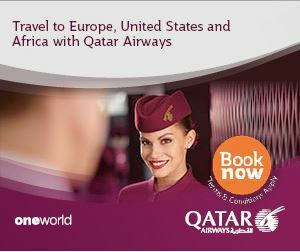 It is overseen by Rohit Ranjitkar and Thomas Schrom along with a team of Nepali staff. The trust works in conjunction with the Nepali government’s Department of Archaeology to identify historically significant sites in the Valley most in need of restoration. Notable past efforts include the overhaul of the Kal Bhairab shrine, the Itumbaha Monastery, and various temples at Kathmandu Darbar Square. 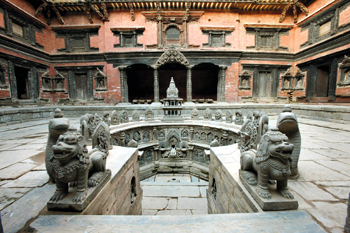 The Patan Palace Restoration Plan is the organisation’s most large-scale project to date and Sundari Chok, its crown jewel. The palace was left unoccupied during the Shah reign after 1775. This view shows the southwest corner. Photo taken this week during mid-restoration. A poor restoration attempt after the 1934 earthquake required entirely new roofing. But the route to restoration is not always a straightforward one. Besides the aforementioned structural challenges, KVPT was faced with a conceptual challenge in a 1934 re-construction of the rear wing. Rather than set the wing in a new style, the trust has decided to keep it as a testament to the earthquake. 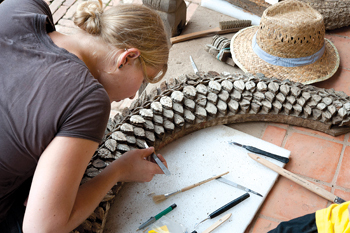 The resulting plan is a balance of authenticity and utility. For KVPT, quality and user experience rank above all else. “We sometimes get complaints about timing,” says Ranjitkar. “But they go away as soon as we’re done. But complaints about quality, those are with you for a lifetime.” One way KVPT ensures quality is by employing local craftspeople instead of contractors. Going into a restoration, Ranjitkar says you don’t know what problems you’ll find “until you get your hands dirty”. Since the trust can’t always plan ahead, it pays craftspeople by the day to ensure that they’ll address structural problems as they surface. Additionally, Ranjitkar visits the site on a daily basis. The organisation also employs the latest in construction and restoration technology to guarantee the longevity of the projects. 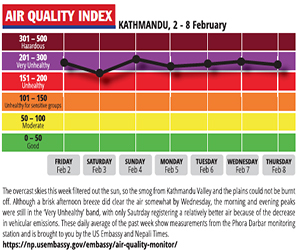 As Kathmandu Valley is prone to earthquakes, the staff wants to make sure that in the next 30 to 40 years, the reconstructed sites won’t turn to rubble. KVPT has worked with engineers to develop new, non-invasive methods to considerably strengthen the structures against seismic damage. Additionally, in partnership with professors and students from the University of Applied Arts Vienna, the trust employed laser technology at the Sundari Chok to help clean stone figures and iconic ivory framing. It is through a focus on intricate details that KVPT believes the restored buildings can regain their former stature and sublimity. Sundari Chowk from KVPT on Vimeo. 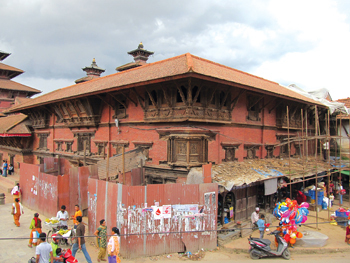 When the Sundari Chok restoration is completed in 2015, it, along with the recently restored Mul Chok, will become the Nepal Architectural Galleries, an extension of the Patan Museum. While Mul Chok will host exhibitions on the history of Nepali architecture, Sundari Chok will be an exhibit in-and-of-itself. The quadrangle will hearken back to its original design as much as possible, up to the mud floors and walls. Visitors will be prompted to take off their shoes to experience the building just as the king once did.